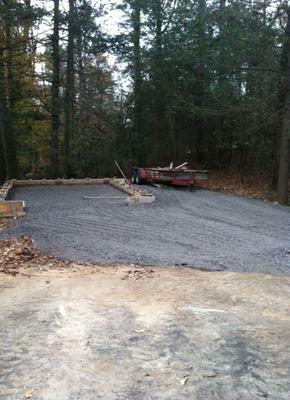 I have had a contractor to construct a 14' x 20' d detached garage. It has trusses and is framed on 16" . The area was filled with slate type rock which was in crushed state. It was " walked in" with a loader type machine. 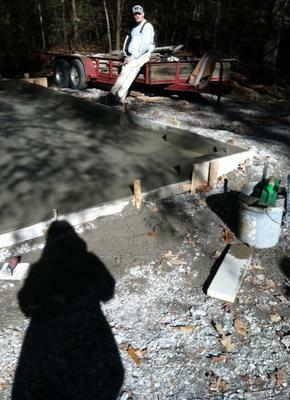 The slab was poured with approx. 18" concrete on outer walls and an additional 6" framing curb on top. 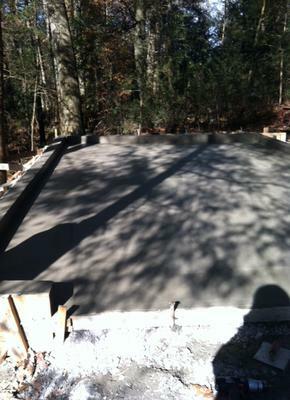 The center area of the slab is 4" thick. My intent is to use this for motorcycles and basic tools. My question is...should rebar have been used or mesh wire? They used fiber added concrete mix @ 3000 psi. I am located in Tennessee. Any advice is welcomed. The building is there and now I am having concerns although it looks really good. Looks to me you have a very well built garage based on the information that you provided. The 18 inch outer wall you referred to is the footing also known as thickened edge slab or turndown slab. This thickened edge or outer wall should have reinforcements at least 2 #4 (one on top and one at bottom) rebars continuous throughout the length of the thickened edge. The interior 4 inch slab at middle of garage is standard slab thickness for such structure and is typically unreinforced. In Utah, where I live the most common monolithic slab such as yours are normally 4000 psi mix which is minimum for any concrete exposed to weather. I have seen 3000 psi concrete mix, when tested break at well over 4000 psi, the 3000 psi used should be plenty strong. As far as using your detach garage for motorcycles you should be fine. 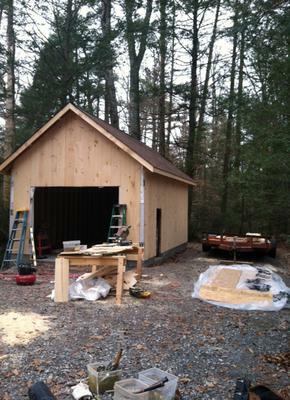 Typical garages such as yours are sufficient for pickup trucks and SUVs. The only thing off limit for your garage slab are forklifts and semi trucks.